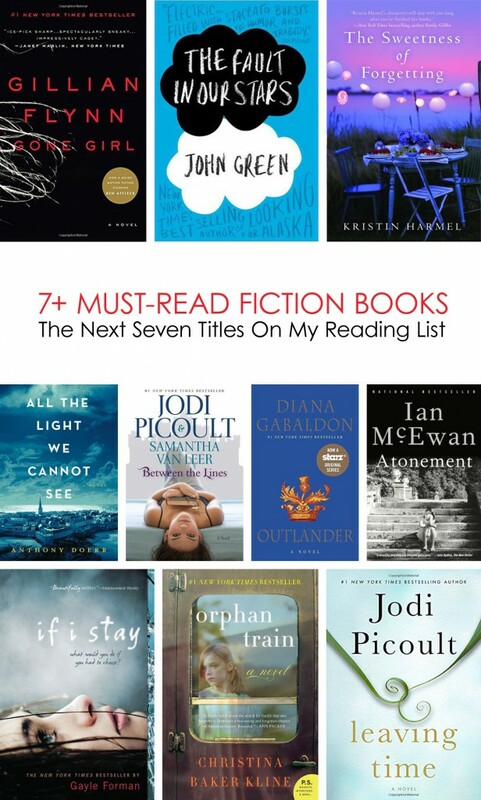 Enjoy this list of 10 Must-Read Fiction Books from my favorite book junkie Jen! 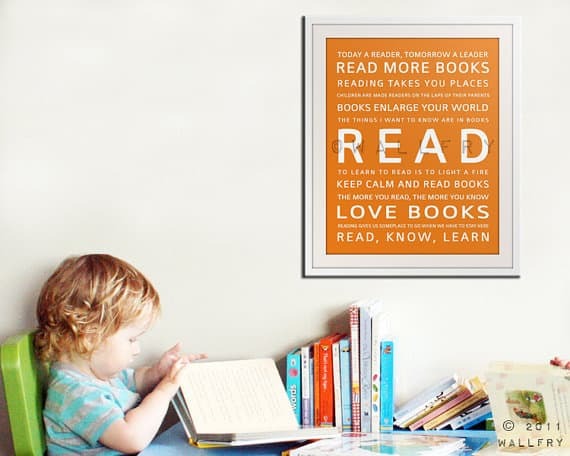 The best way to encourage your children to read, is for them to see YOU reading. This notion inspired me to read fiction again. Oh the joys of a well written book! I had forgotten that “I just can’t put it down” feeling. As parents, we are often so busy that it is hard to find time for yourself. I love that reading is an activity for you AND THEM (in a sense). Find this awesome Wall Art for Small Fry READ print on Etsy. Art Credit © Kylie Jackson. I asked my childhood friend and official book junkie Jen for recommendations for the summer and thought I’d share her response with you. I LOVE, LOVE, LOVED the book! It was probably one of the best stories I’ve read in the last 2 years. I read this in one day flat- simply because it was that good! Then, I read it a second time- because I couldn’t stop thinking about the story. It has everything a great book should have- great characters, comedy, tragedy, excitement, and my favorite- romance! I have not read a lot of James Patterson books, but now I will definitely seek them out. This newer release- and one you will want to own if you’re a book lover. It’s been about a month since I read this, and just recalling the story- I am tempted to read it again this weekend! I have gone so far as to tell my friends that hands-down, if this book is made into a movie, it will surpass The Notebook in popularity as far as love stories go. What’s also interesting about this book, is that it is actually quite personal to the author. On the dedication page he writes about his first love. While the book is not based on his story, it is a beautiful and well written piece of work that will have you remembering how powerful love can be. The way he can express in words the fear, longing, and awkwardness associated with a budding relationship will have you taking the journey right along with the characters. Buy this- read this- and tell your friends! Amazing- got me into the young adult/ teen genre. Gayle Forman writes this book in such a beautiful fashion- it reminds me of a symphony! This is the sequel to “If I Stay.” Wonderful! This is one of her earlier books, but very powerful. It is a total tearjerker. Everyone is talking about this book. It was hard for me to get in to, but at about 100 pages, you’re hooked! You will be amazed at the talent of this writer. Remarkable, intelligent, thrilling. A quick read and totally creepy. Scary… terrifying actually. This book is extremely well written and intelligent like her other works. Flynn is considered a cutting edge writer because her novels are so mind blowing. This book is no different. It was the scariest of the three for me personally. This reminds me of an episode of Criminal Minds. If you like that kind of stuff- this book will be great. Very suspenseful, and chilling. Good book about a woman who somehow loses her memory and can’t remember her fiancé or anything about her current life. I think as a parent, this was a good book because it makes you think- “if I knew nothing about my current life, would I still choose the things I have?” Or, for example, were your decisions influenced by other forces around you. Very good. Let me know in the comments below or here on Facebook. I’m so excited to start on this list. I saw The Fault in Our Stars on the list and had just finished it, so I figured I’d see what else you had. Also great reads, though not fiction necessarily, are The Most Dangerous Animal of All and I Am Malala. I Am Malala makes you want to weep and The Most Dangerous Animal of All makes you wonder if we ever really know what type of people we’re related to. Thanks for the list! Good list, but half of the list is made up of young adult titles, not adult. Your list is titled “Adult Fiction,” but I think credit should be given to the YA books. 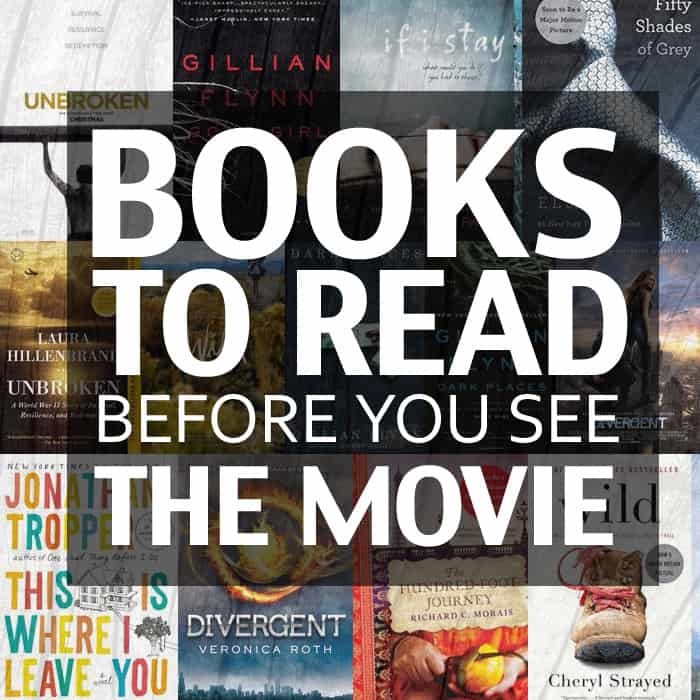 They are every bit as compelling and meaningful as the true “adult” books on this list. They deal with diverse and difficult themes of death and love lost and moving on in tough situations, but it’s important to realize the protagonists are young and that young people also feel incredibly deeply. I think these books should definitely be read by adults, but I also think the YA subcategory often gets marginalized–TFiOS, If I Stay, and Where She Went are just a few that show the depth and talent in YA and should therefore get that credit. Just read “Me Before You” by Jojo Moyes. LOVED IT! Was an easy, quick read, but great for a summer novel. Made me laugh, made me cry, made me mad. Love stories that bring out the emotions like that! My first thought when I saw this list was also that you have quite a few YA books on the list. Make sure you know your genres! Just changing the title to 10 great reads would fix it. “The Lovely Bones” by Alice Sebold would fit perfectly intoo both genres. also a MUST read. Gone Girl is so fantastic. I had to read it, plus go see it in theaters as it was filmed in my hometown! Huge twists and turns, an awesome thriller! Right now, I’m reading Dark Witch by Nora Roberts! Thanks for the suggestions! I too have fallen prey to the post-college reading exhaustion and am trying to get back into reading. I have a terrible habit of always going back to old favorites and passing over new reads so I’m excited to check out some reader-approved titles! Less love storys. Add a song of ice and fire. Love this list! I’m always looking for new books and I’ve loved some of the titles on your list, which leads me to believe I will probably like the others. Thanks! I have unusual taste that runs to the quirkier side of science fiction and fantasy. In the “adult” genre, I would say Down and Out in the Magic Kingdom by Cory Doctrow, for anyone who has ever been to Disney and wondered what really made it the “most magical place on earth.” It’s a murder mystery set during a utopian time where everyone can do whatever they want that follows competing groups of people running Disney World. Weird and brilliant. Lock-in by John Scalzi is also fantastic, especially from the point of view of a severely disabled narrator living in a future world. In the “young adult” genre, Liar by Justine Larbalestier is a story told by an unreliable narrator who may or may not be supernatural. It’s hard to say much else without giving away the plot! Elena Ferrantes series that starts with My Brilliant Friend. Set of books that profile two girls’ friendship from childhood through adulthood in Naples, Italy from 1950’s. Excellent. This article is so much informative . i am really enjoy read many fictions books . specially i read SCIENCE FICTIONS books, Adult fictions books etc ,thank you so much for share with us.